Aaron: I was pleasantly surprised by this wine. For the price, I’d recommend it any day. Nice smooth fruity flavors filled the mouth and the finish was soft with a jammy lingering. 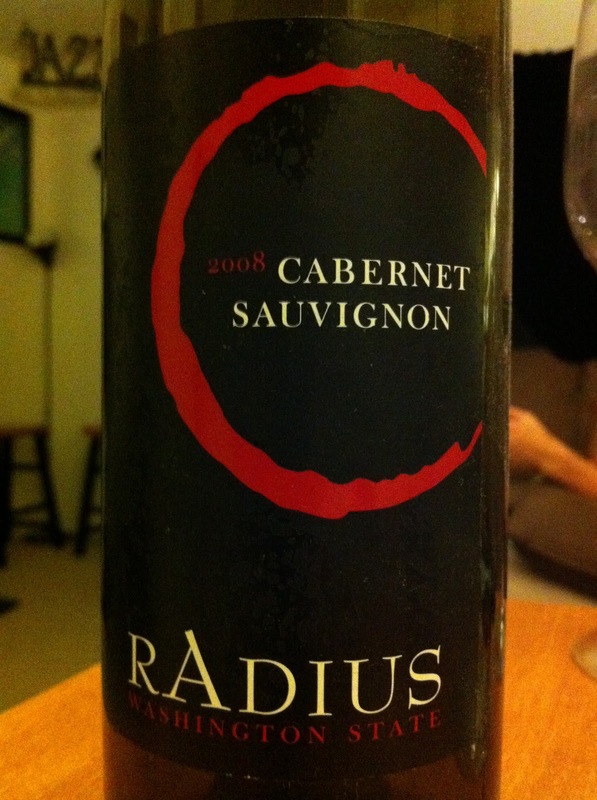 A glass of Radius is perfect for those people who are just getting accustomed to wine drinking, or seasoned professionals who are drinking only to taste. I would buy it again and bring it to a party where I wasn’t quite sure of the tasting abilities of the attendees. This entry was posted in Dinner Party and tagged Cabernet Sauvignon, Red, Washington by aaronandteri. Bookmark the permalink.